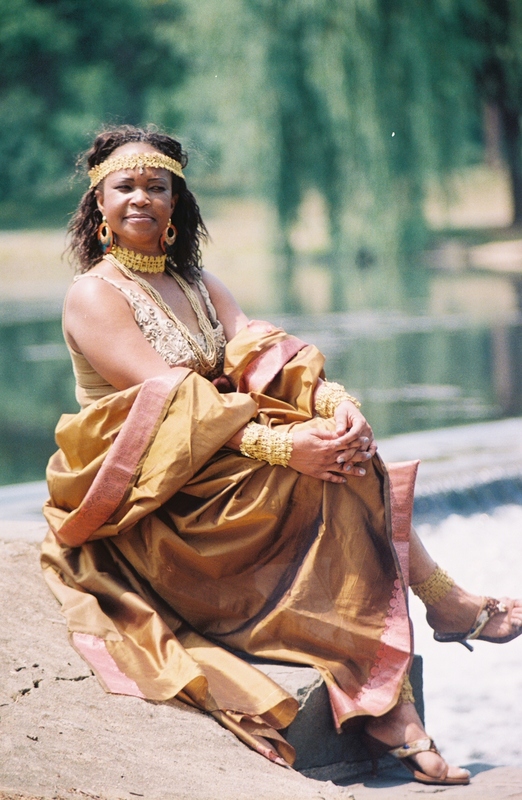 Nimba Burr’s melodious voice made her the lead vocalist and prominent member of the Liberian National Cultural Troupe by 1976. She was invited to perform at the U.S. Bicentennial Anniversary celebrations where she thrilled the audiences the same year. She has traveled to London, England, Bern, Switzerland, Paris, France, Geneva, Switzerland and the United States with her message of peace and reconstruction. In December 2000, she released another album titled, “We Want To Come Home” and appeared on CNN International, the African Woman Journal television and the Voice of America (VOA) in Washington, D.C. She used that occasion to petition the international community to intervene in the Liberian, which has since ended – THANK GOD! Burr has shared the stage with many well known international artists including Hugh Masekala and Miriam Makeba of South Africa, Calypso Rose of the West Indies, the great Stevie Wonder and various other artists. Strong and beautiful voice from the 70s. Her name was originally ‘Nimba Bird’ – perhaps because she sings sweetly, like a nightingale. But because of the way some words are pronounced in Liberian English, ‘Bird’ became ‘Burr’ and her name became NIMBA BURR. I appreciate her as one who has survived the odds of life – even the burrs – with her her voice in tact; still singing like a bird.